Photo credit: Coralie Seright – Lovebugs and Postcards (http://www.lovebugsandpostcards.com). The new Beauty and the Beast movie opening in theaters everywhere this Friday, March 17th has an exceptional cast. 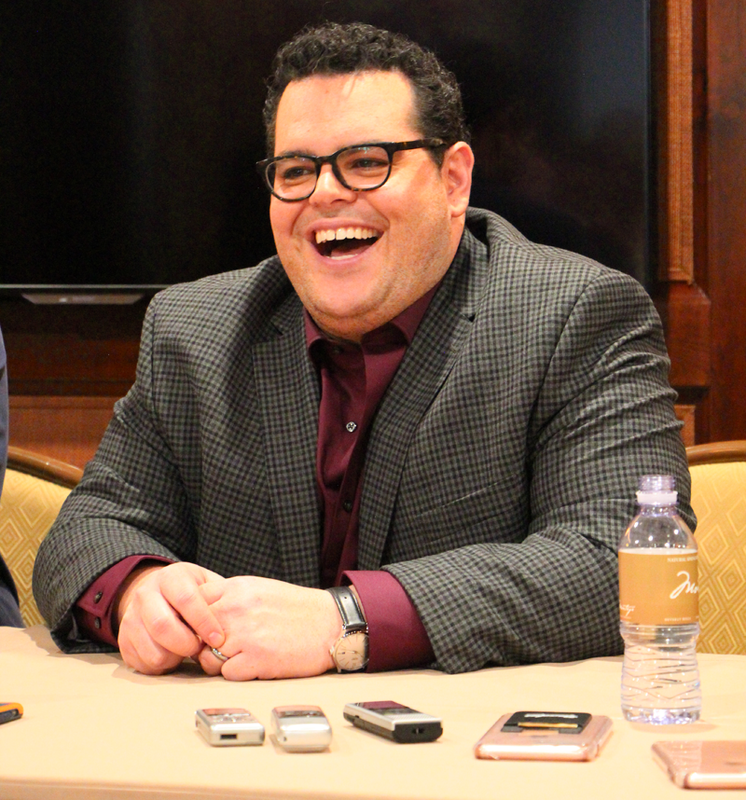 After sharing our Emma Watson and Dan Stevens interview with you yesterday, I thought this would be a great time for you to learn more about two of my favorite characters from the movie Gaston (Luke Evans) and LeFou (Josh Gad). Interviewing the two was so much fun. They had such a great bond of joking around and making us laugh. You can see they genuinely enjoy one another and had a lot of fun on set. Our interview started with Josh joking that he and Luke will sing at the drop of a coin. He said he’d never thought he’d be someone that would be so willing to sing for no reason at all. Until he met Luke Evans. Luke chimed in saying that they’re both literally cut from the same cloth. Josh agreed. Both Luke and Josh were massive fans of the original animated movie and both kids when it came out. Luke was 12 and Josh was 10… very similar to myself as I was 11. Luke grew up in South Wales and Josh in South Florida but they both came from musical theater. Luke jokingly said the movie probably meant more to him since it was so dark and gloomy where he came from. To watch a Disney film in the little cinema in his village was the highlight of Luke’s year. Josh and Luke both felt so lucky to bring those characters to life they had once watched on the big screen as little boys. Since they both came from musical theaters, Luke from the West Side and Josh from Broadway, they instantly had a great chemistry between their characters. It was a common language and common understanding. It was a common goal of them wanting to do justice to a movie that was so pivotal in their childhoods. During the first part of the movie you’ll see Josh and Luke riding in a wagon with Maurice. They were calming Luke down with stories about the war and it was actually something that they literally came up with on the spot. They had a lot of funny moments with things they would make up. 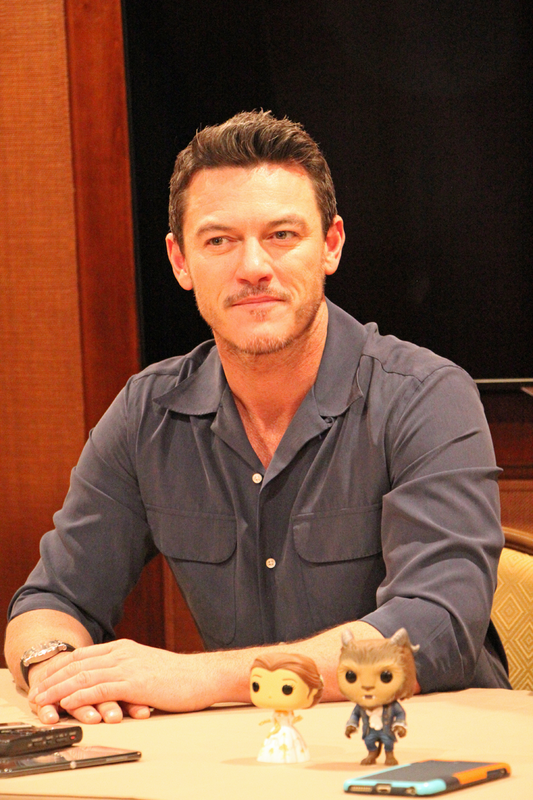 With Gaston (Luke Evans) the look his half his ego. Gaston is a chauvinistic, sexist, selfish villain who wants to marry Belle. Even with these characteristics his character does make you laugh. He’s always looking in a mirror admiring himself. Luke said it took four or five incarnations of the leather jacket he wars to find the right color of blood red that represented the sinister part of his nature. 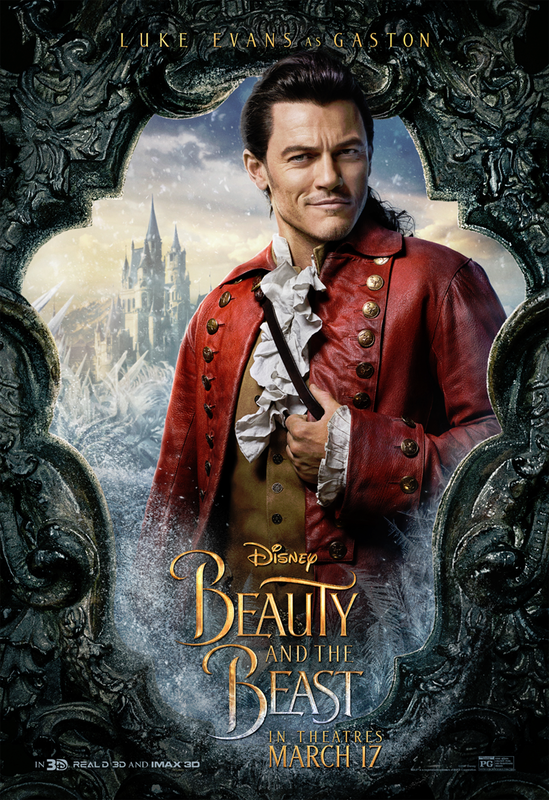 That red jacket is so synonymous with Gaston in the original. There was so much detail and work in it with the buttons and antlers on each button. He even had a pinky ring with an antler impressed into red stone. It all looked so fantastic with the wig and makeup. Luke said he can remember taking the wig off the last day and his hair and makeup lady said, “Okay, well, say goodbye to Gaston for the final time.” When she took it off Luke jokingly but with all seriousness said, “Well, hello you.” So Gaston! Luke brought so much happiness to a great villain. A great character you love but also hate which is quite a gift to be able to do both with an audience. Throughout the movie we see how LeFou has a blind devotion to Gaston. You’ll see his character start to question his devotion as the movie goes on. I love Josh’s character and how Disney has made this version more modern in an amazing way. Disney includes such great diversity in the characters in this movie. This is one of the reasons it makes it one of my favorite live-action Disney movies. Beauty and the Beast is such an iconic movie. Josh is excited that his daughters will be able to grow up with this as their definitive version of the story. There is no other big screen live-action musical that Josh’s kids had seen on the silver screen in their lifetimes. Luke said he was excited that his godchildren and kids in his family could finally see a movie he’s in. The day Luke got offered the part he text all of their parents to tell them he was going to be in Beauty and the Beast so they can finally come watch him in the cinema. He said they all came to the London premiere but a little sad to find out he was the bad guy. 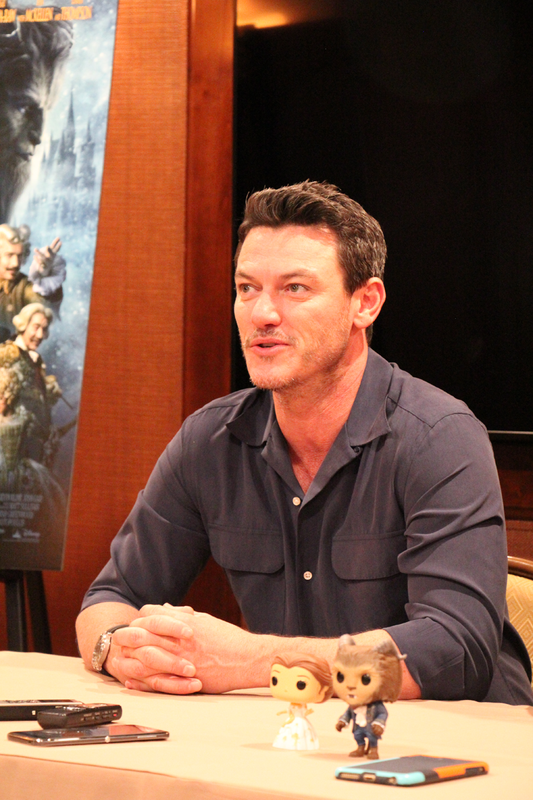 Many different scenes in the movie were physically demanding, especially for Luke Evans. For the fight sequence at the end of the movie he was on cables and raised with a cherry picker. He had a 42 foot leap that he did with the cable. He found it quite challenging but very rewarding. The scene took a lot of stunt rehearsals and training for Luke so he was very happy it made the film. 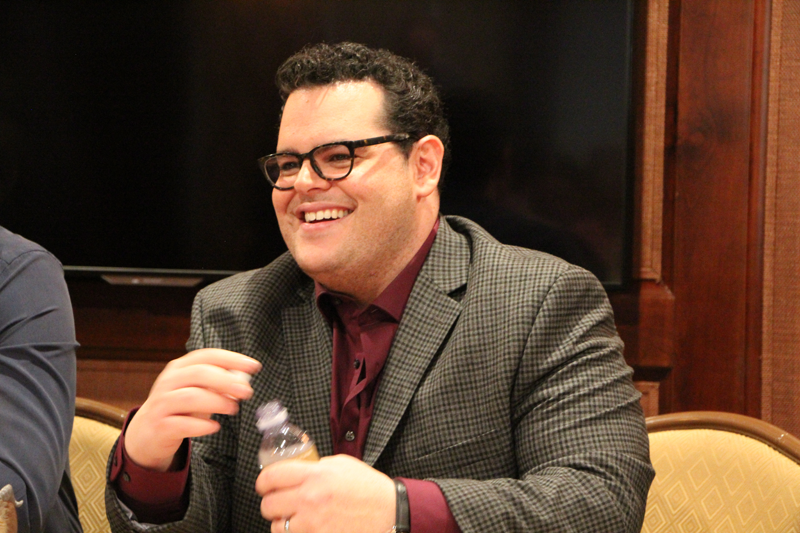 Luke said his favorite scene in the movie was the Gaston tavern sequence. For two reasons. One, it was his song. Two, it was the one piece of the whole film where they got to rehearse for four to five weeks because it was incredibly technical. They had the villagers in the room. There’s vignette stories going on which you have to watch it a few times to know that, all that took a lot of time. Music was playing throughout the whole sequence. They had to get the villagers onto tables. There was murals they had to reflect in the back of each shot so it was quite technical which took time, development and collaboration. During the Gaston scene as an audience you can feel yourself wanting to jump in and raise a glass to Gaston. It’s the brilliance of the Alan Menken and Howard Ashman songs that are so unbelievable addicting. Menken and Ashman are both known for a number of animated and live-action films including the original Beauty and the Beast. Josh said he really hopes that can watch the movie and realize you should never judge a book by its cover. For example, we shouldn’t judge the Beast by his looks. Luke added that really the theme of the movie is that love conquers hate which is so powerful to be carried by a very strong female lead character. Luke pointed out that the story really comes from a very fearless, independently spirited young woman who’s intellectual, reads and wants to learn. It’s such a powerful message to young girls. Belle sees it as no boundaries to her world. There’s a world out there for her to conquer and discover. Emma (Watson) was exactly the right person to portray the character of Belle. And it’s not just for young ladies. Young men can look up to her as well to see the great lesson in this movie. Josh said that it’s what he thinks is so wonderful about the movie. Bill Condon has shown us all such a great lesson through the movie. 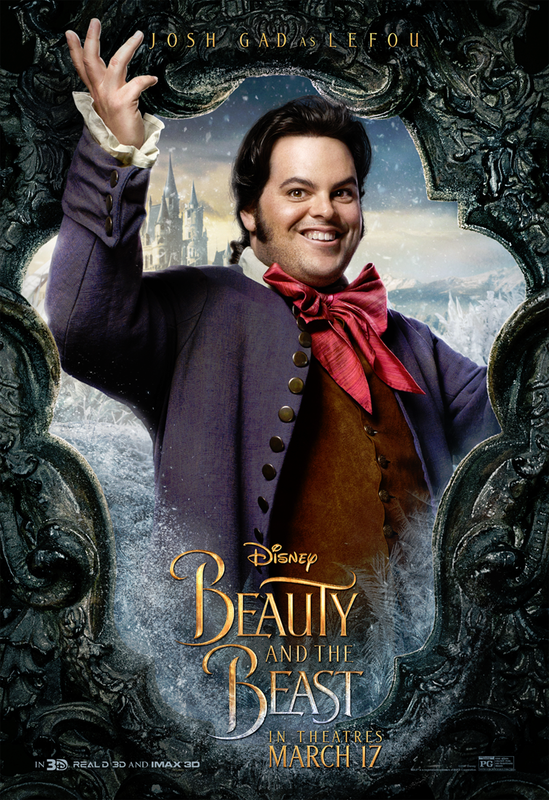 More interviews and a review of Beauty and the Beast coming this week!